Last October saw over one hundred students try out for a coveted place on one of the quiz teams. Thirty six students were successful and the many hours of practice began. All the students gave willingly of their time over the coming months in preparation for their first competition. The time had arrived and our nine teams were ready to meet the challenge. The first competition took place in St. Sylvester’s GAA club on February 4th 2019. It was a hard fought battle with both our Junior and Senior teams giving a great display of their talents. One of our Senior teams narrowly missed out on a place in the North County Final. However, one of our Junior teams topped the board winning first place and proceeded to the next stage of the competition. On Sunday March 3rd 2019 our Junior team, consisting of Ciaran Peacock, Conor Despard, Charlie Mollahan and Rory Lawton represented our school at the North County Final in the Clayton hotel. The boys did themselves, their parents and our school proud. It was a tightly fought battle with the boys working hard right to the last question in round ten. Congratulations to the boys on finishing 4th in the competition. Ms. Kieran and Ms. Shaw would like to take this opportunity to thank all the boys and girls in the school who were part of the whole Credit Union Quiz experience this year. 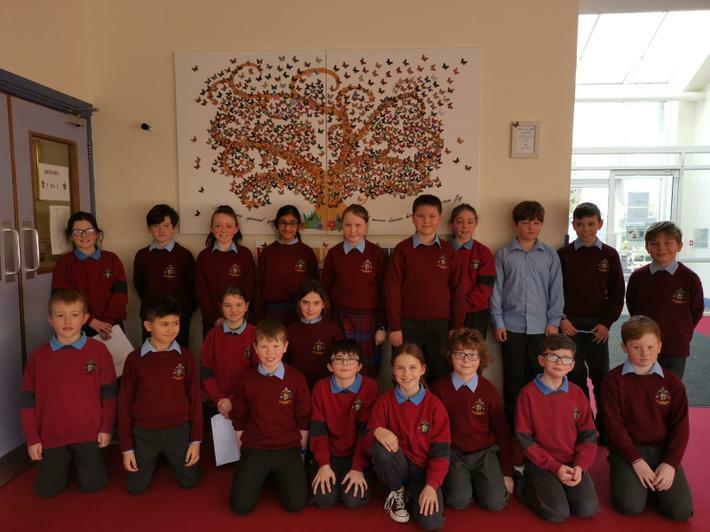 We wish the boys and girls from 6th class all the best as they leave us in June and we hope to see many other students at the school try-outs in October 2019.